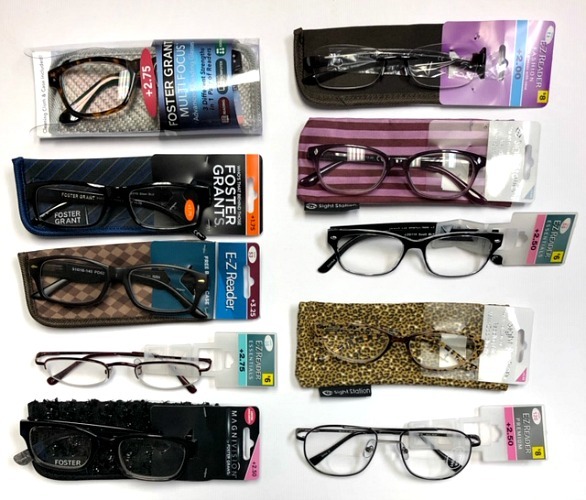 "Ideal for men or women, these Acrylic READING GLASSES are simple in design and are a quick alternative while waiting for prescriptions to be filled. They measure approximately 5 1/4"" across the front and 5"" on the temple. Comes packaged in a hanging poly bag." 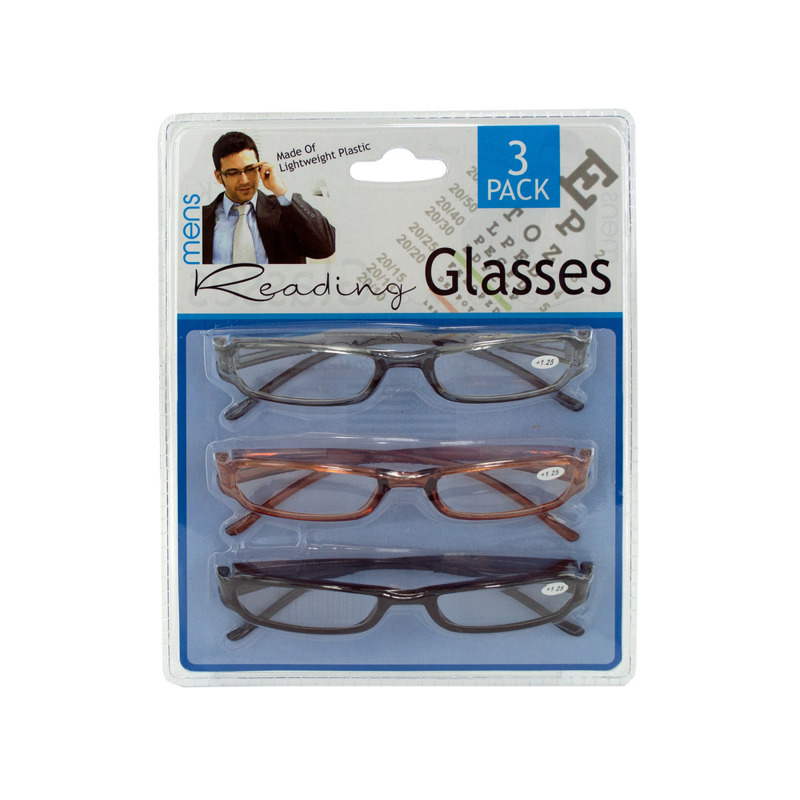 "Guarantee you'll always have a pair of GLASSES on hand with this 3-piece Men's READING GLASSES Set. Perfect for keeping in home, office, glove compartment, briefcases and more. Comes in assorted powers: +1.00, +1.50, +2.00 and +2.50. Colors include transparent grey, transparent brown and black. $0.60 each pack when purchased by 3 dozen [36pcs]. $0.50 each pack when purchased by 12 dozen [144pcs] or more. $1.75 each when purchased by the dozen. $1.65 each when purchased by 6 dozen [72pcs]. $1.40 each when purchased by 12 dozen [144pcs] or more. $0.65 each when purchased by one box [20pcs]. $0.52 each when purchased by 12 boxes [240pcs] or more. Assorted strengths and colors. READING GLASSES. Assorted strengths & styles. Picture is just a representation of the styles that you may receive. Display is preloaded with 288 pieces of assorted readers. You will find a wide variety of styles: plastic, metal, fashion, classic, elegant, smaller, medium and larger frames. The display has storage with the door on the bottom of display where you can store additional GLASSES. 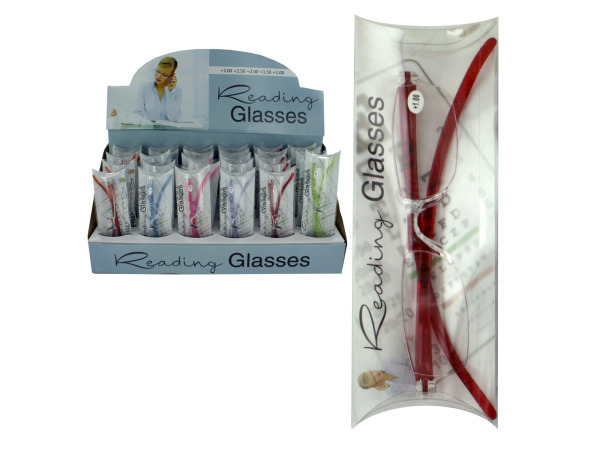 Tube Readers-Assorted strength READING GLASSES, each it it's own protective plastic tube case. 36 Pair per display. 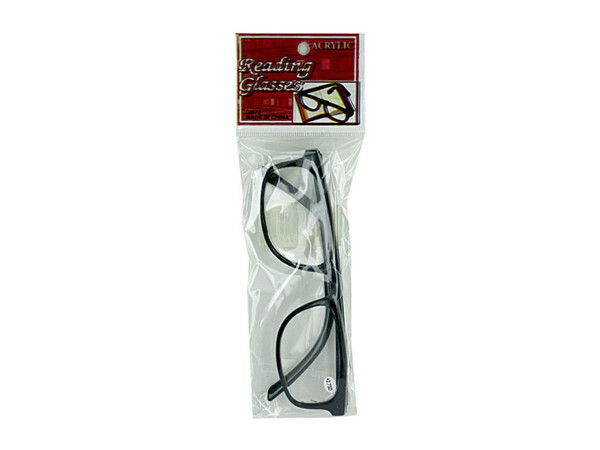 Plastic Frame READING GLASSES, Assorted styles & powers. 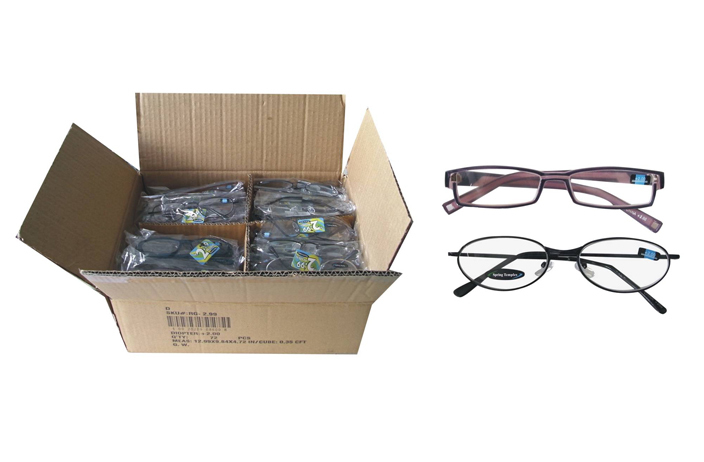 Each box contains 12 pairs of GLASSES with assorted powers. Each master carton will contain all powers. 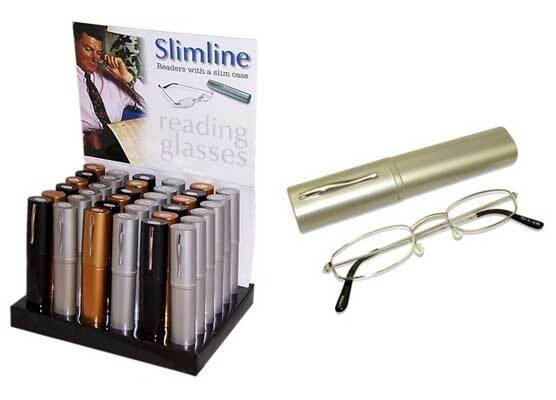 Classy and stylish high quality READING GLASSES in hard protective tube. Each box comes with it's own display. Each tube is clearly marked with the strength of the lens. High retail value. 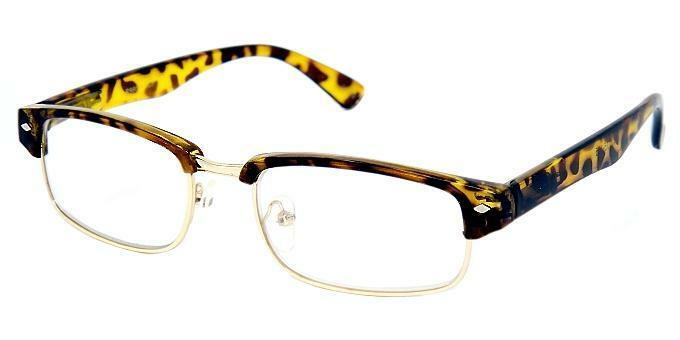 "Don't leave home without these lightweight Cheetah Reader Assorted READING GLASSES featuring durable plastic GLASSES in stylish frames. Easily read books, prescriptions, menus, bills and more. 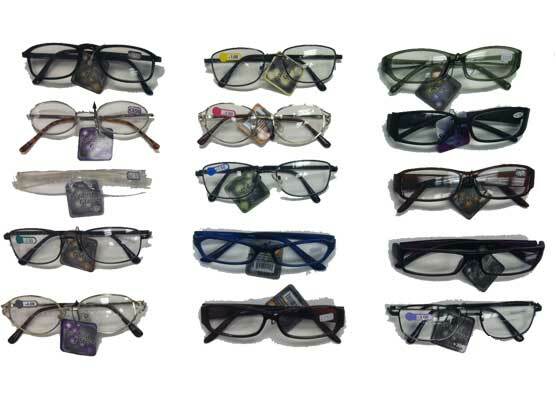 GLASSES come in assorted styles, colors and strengths. 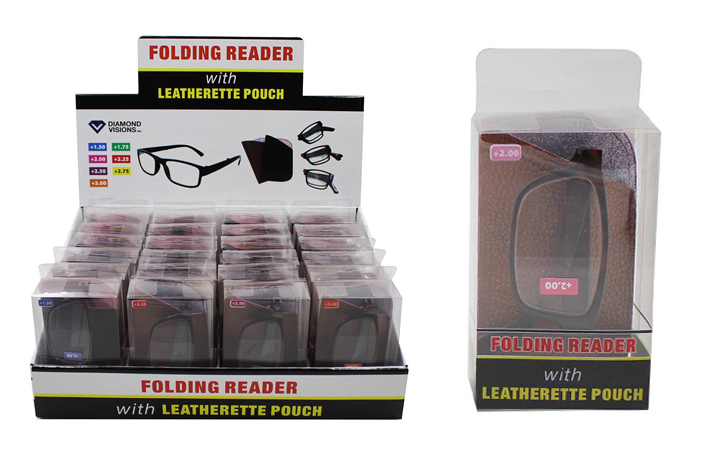 Folded GLASSES measure approximately 5.5"" x 1.5"
MAGNIFYING READING GLASSES, COMES IN ASSORTMENT COLORS AND ALSO VARIETY OF BASIC PRESCRIPTIONS. 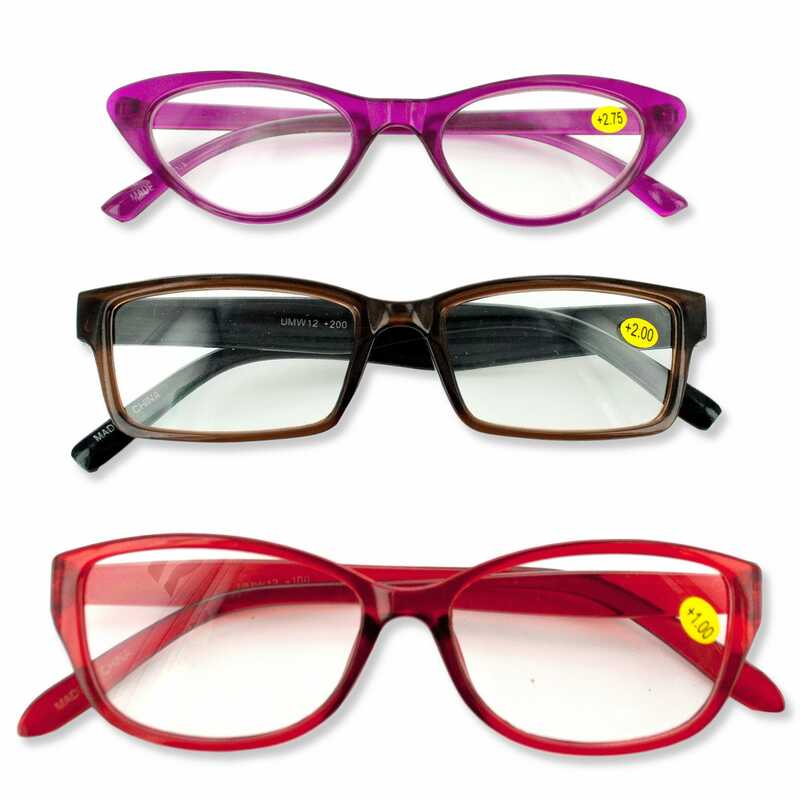 Fashionable Cat Eye READING GLASSES with assorted frame colors and lens strengths included in each dozen! "Bulk READING GLASSES, +1.0+3.5 Lens Strengths included in dozens, just $8! Full frame, square lens shape with five frame colors." 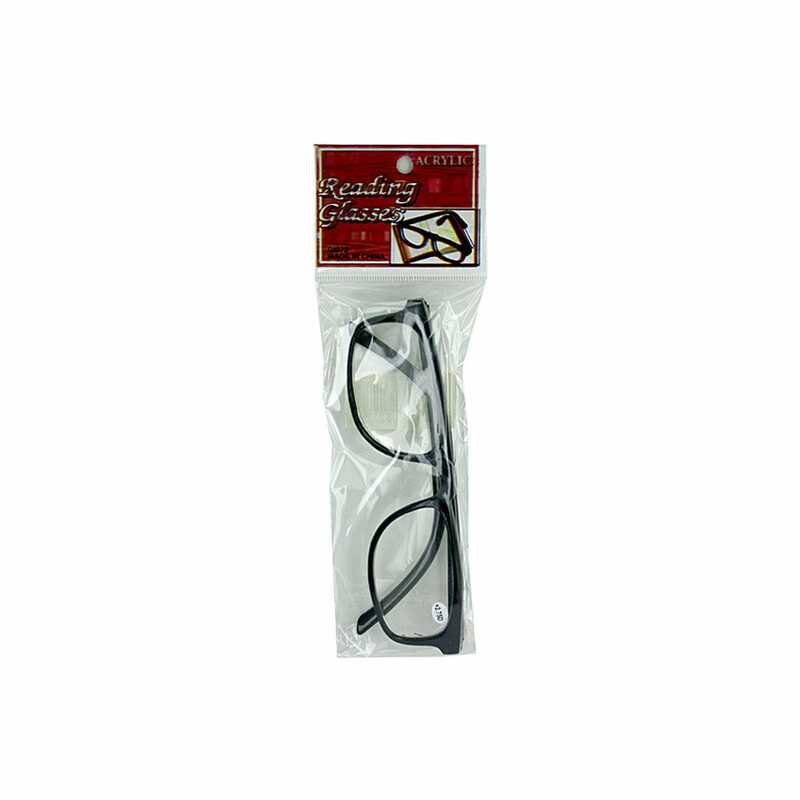 Classic look READING GLASSES with half metal rim. Spring temples.Frame colors in black(shown) and demi mixed in a dozen.Pre-assorted power strength from +1.25 to +3.0 in a dozen. Assorted color frame with gunmetal/gold/silver temples. Mixed power strengths in a dozen. 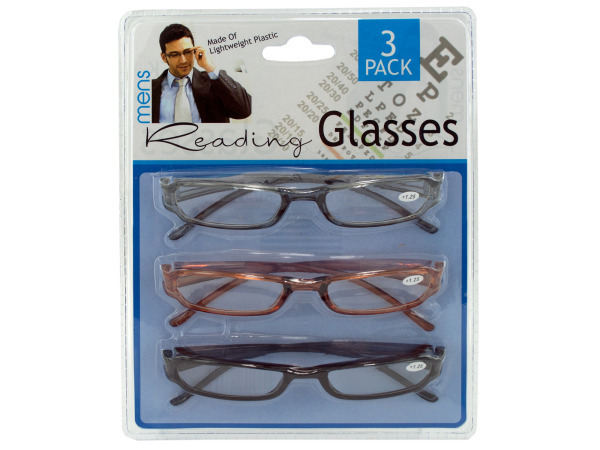 Plastic frame READING GLASSES with designed temples. Clear frame with assorted accent colors. Black color inside the arms.Pre-Assorted powers from +1.25 to +3.0 in a dozen. $1.75 each when purchased by the dozen. $1.65 each when purchased by 6 dozen [72pcs]. $1.40 each when purchased by 12 dozen [144pcs] or more. Assorted strengths from +1.00 to +3.50. Batteries are included and are changeable. ON/OFF button on each stem. 25 styles IG Fashion READING GLASSES, total 300 pairs, power from 100-300 assorted. Unisex, women and men styles all include. Only $450 include shipping, your cost $1.50/pair. All items pictures are showed under the listing. 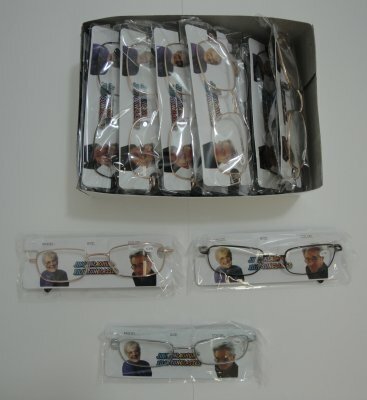 25 styles classic READING GLASSES, total 300 pairs, power from 100-300 assorted. Unisex, women and men styles all include. Only $300 include shipping, your cost $1.00/pair. All items pictures are showed under the listing. Fashion Eyewear Plastic READING GLASSES comes in soft pastel colors with rectangular lenses. Giorgio Caponi Plastic READING GLASSES feature thick frames.